CorPower Ocean AB, a developer of high efficiency wave energy converters, has been awarded a €4m grant by the European Commission (EC) for its WaveBoost project. The funding follows an extensive review process through the EC’s Horizon 2020 call for funding, where businesses were asked to present proposals for demonstrating the next generation of competitive Low Carbon Energy technologies. The project brings together renewable energy leaders from Sweden, Scotland and Portugal, including the utility company EDP, the European Marine Energy Centre (EMEC), WavEC Offshore Renewables, the University of Edinburgh, SP Technical Research Institute, PMC Cylinders, GS-Hydro and CorPower Ocean. In light of the recent progress towards competitive wave energy harvesting, CorPower Ocean has strengthened its team by adding Anders Jansson, former CEO of Minesto, as commercial director. Additionally, several senior engineers with offshore and subsea technology backgrounds have recently joined the team, bringing a wealth of experience to the company. In 2015, following initial support from the Swedish Energy agency and InnoEnergy, CorPower Ocean was awarded a contract from Wave Energy Scotland. 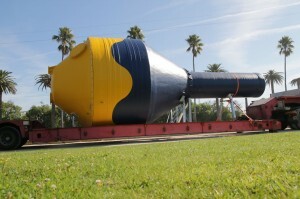 The company is currently performing dry testing of its next wave power plant in Stockholm, Sweden. Following full qualification, this system will be installed at European Marine Energy Centre (EMEC) in Scotland during first half of 2017.